Can Arsenal Find Solace in Bournemouth Comeback? 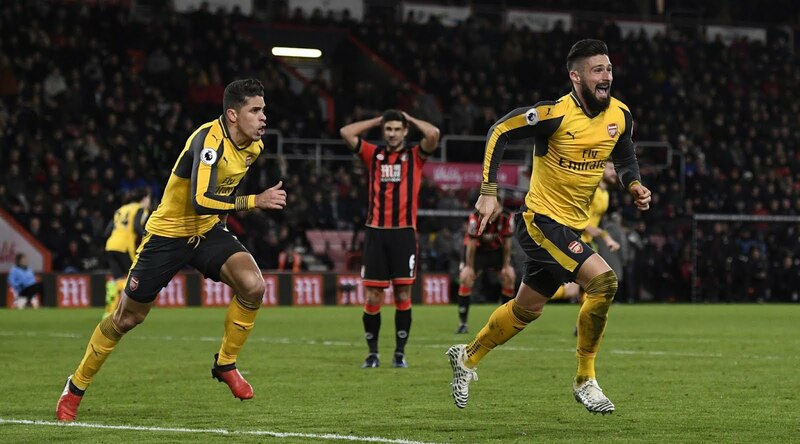 Disaster on the south coast almost played out in the most devastating of ways as Arsenal stumbled out of the blocks to start the new year, and while the Gunners may have claimed a point for a spirited fightback, concern is spiking once again for the North Londoners. Is another annual collapse unfolding? There's two sides to the coin for their fixture with Eddie Howe's Bournemouth, ending in a three-goal-apiece draw after a blistering start from the underdogs. Disbelief was plastered over the away fans as they teetered on a catastrophic capitulation: going from being down at the ditches and 3 goals down, to recharged from how they reacted and putting in a herculean shift to avoid defeat. A face value prognosis indicates dropped points through the half-way point of the campaign, something which won't settle with the club considering their desire for a solid challenge, and the furious pace being set by the league leaders Chelsea. Even the most mouth-watering of scorpion goals a couple days prior can't relieve the mounting tensions on the team. It was in many ways a kick up the backside from the fans which sparked the comeback. Trailing 3-0 in under an hour was embarrassing to say the least, and the fans who had made the two-and-a-half-hour trip on a weeknight had some fury to unleash. They can take comfort in how they responded, but it comes down to whether or not they should have been put in that position in the first place. With Arsenal, we've got to a stage where articles like this can be written long before a ball is kicked. The title collapse is something of an inevitability now. Unrest is on the rise, and now comes a January filled with transfer speculation, clenched fists of hope, and possibly, maybe, an adequate purchase. Even with Shkodran Mustafi rejoining the line-up, Arsenal's defence was shambolic in the first half. 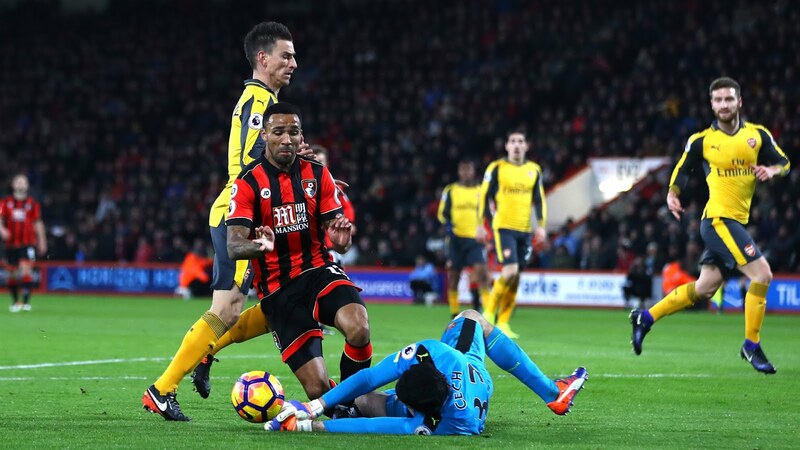 Bournemouth showed an unmatched level of hunger to trouble the back line, making this a few steps in the wrong direction for Arsenal, who appeared to have cleaned up their act with back-to-back clean sheets prior to this game. 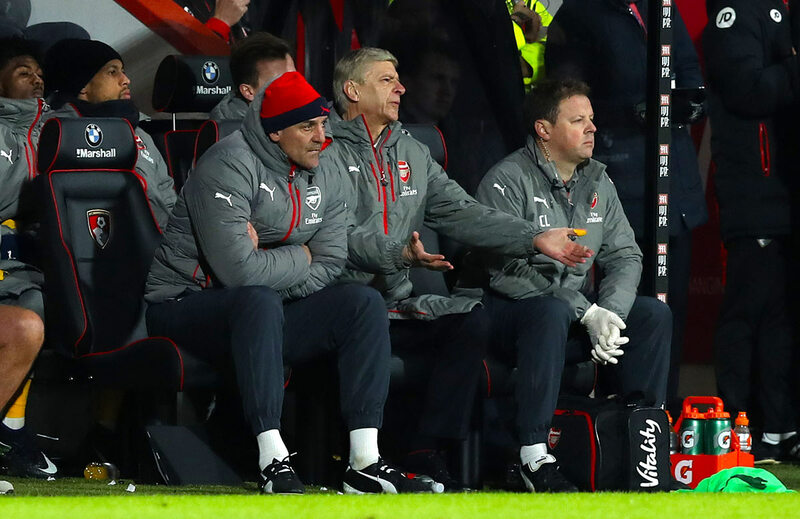 Blame the fixture congestion, blame injuries, blame whatever - it's a bitter pill to swallow for Arsenal. The stop-start nature is somewhat abrasive, responding to consecutive losses by notching consecutive wins, only to be halted by a team they really should have taken 3 points from - considering their intentions. Pessimism, however, is not all there is to life in football. Many can take solace in how Arsenal relentlessly fought their way back. 22 minutes of graft earn them some plaudits, and in a title race where great character is needed, the Gunners showed they had a ton of it. All of a sudden, the emphasis on their needs has shifted away from the striker too: Olivier Giroud had a blinder; so to his relief there may be much less of the clamouring for the signing of a world-class striker in this month's column spaces. The backlash if Giroud didn't grab that stoppage time goal could have been lethal, but here we are with Arsenal getting something - essentially out of nothing. Their first half could be marginally forgiven in the fact that they made up for it, but getting by in this manner is often a requirement: squeezing out every point. They were staring down the barrel and they came out swinging, blushes were somewhat spared. 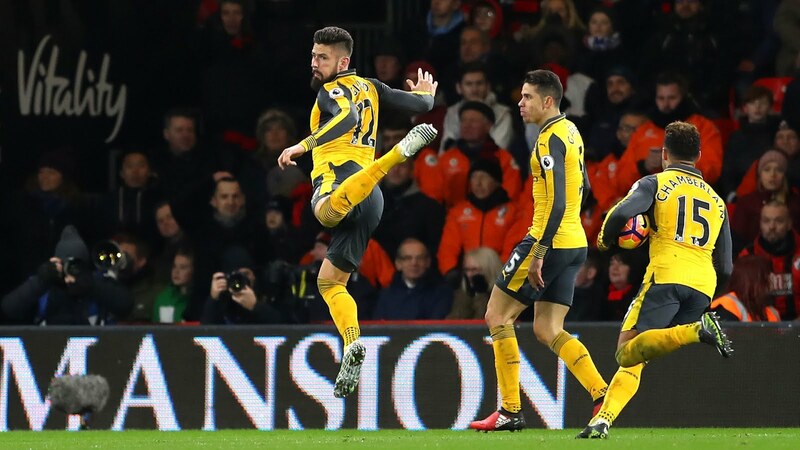 They drew against Bournemouth, but they did it in fashion that should ignite passions of the Arsenal support. Maybe, with a little luck going their way, this performance won't be as catastrophic as it first seemed. TheSportMatrix • We Live For Sport: Can Arsenal Find Solace in Bournemouth Comeback?